As The PBS NewsHour continues to mourn the loss of our beloved co-anchor, Gwen Ifill, women journalists of color offer a special reflection on her impact in an industry once dominated by white men. For many, Ifill was a pioneer for young women and would-be journalists of color. Yamiche Alcindor of the New York Times, Hannah Allam of McClatchy, Kat Chow of National Public Radio, Krissah Thompson of the Washington Post, as well as Nia-Malika Henderson and Tanzina Vega of CNN join the NewsHour’s Kenya Downs, Pamela Kirkland and Jasmine Wright to honor Ifill, a woman whose own successful career inspired a generation of women of color to pursue journalism. Each journalist’s letter to Gwen can be found below. Thank you for telling me to know my name. 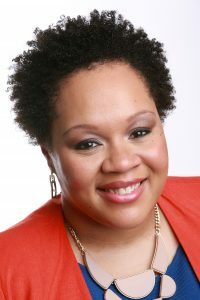 The first time I met you, I said my name was Yamiche but that you could call me “Miche.” And you said, “Do you really want to be called ‘Miche?’ Don’t let people give you nicknames.” That stuck with me, because I think as I get older and as I look at all the breadth of your work, I think of knowing myself and knowing my name and owning who I am. It was so important that you told me that. Growing up wanting to be a journalist, the fact that you were covering the White House, that meant something. That meant that I could go and pursue the career and become a journalist. As a black woman working for the New York Times and then also doing stuff on TV, I could talk to you about how to navigate these spaces that are still so overwhelmingly white. I learned how to navigate my own career, make smart choices, own up to who I am and to not be ashamed of pitching stories that are important to black people. I could write about politics, I could write about crime, or I could write about whatever I wanted but not be pigeonholed into one certain thing. Dear Gwen, I am going to really, really, really, really miss you. But I’m also going to really, really, really, really try to make you proud. You knew who you were, you knew how to tell the truth, and you knew that you were here for a purpose. I just hope and pray that I can also walk in my purpose and use the lessons that you’ve given me to make you proud. Thank you so much from the bottom of my heart for always putting substance over style and for elevating what matters. For the time that I showed up to your studio with straight hair, because everybody knows [naturally curly hair] isn’t polished, [it] isn’t ready for the newscast. I showed up with my hair straightened to your show, and you gave me a look, and then you said, “You know you don’t have to do that here.” That meant the world to me. The confidence that it instilled in me, and what it meant to be invited somewhere, not because you cared about my hair, but because you wanted me to explain U.S. involvement in the Yemen conflict and how ISIS could or could not be a threat to the U.S. homeland was tremendous. Those were the issues that mattered. It was not about what the person delivering that message looked like, not in that superficial way. Before me was one of the most formidable journalists of our time, Gwen Ifill, looking at me and telling me, “Great point,” “Wrap it up,” “Bring it home” or “Good job.” That meant the world to me. I remember at the Gridiron dinner a few years ago, you pulled me aside and said, “What are you covering now?” I said foreign policy, and your eyes lit up. You said, “Great! I need more people of color to come on the show and talk about foreign policy.” Because we know what it’s like to live in that rarefied world where these are the biggest decisions on national security, on foreign policy, and there weren’t and aren’t too many people who look like you or who look like me at that table — to just to have a place at the table, a place at your table, meant so much. So as I stand here with tears in my eyes, thinking of how much we’ve lost with your passing, what a wonderful gift to have had, what a lesson it was for a young journalist to see this boss woman in power calling the shots, that’s the essence of a leader to me: someone who was intellectual, composed, compassionate, fair and empathetic. We will miss your journalism, all of us. I and other women journalists will miss having that calm and steady presence of yours, that take-charge, I-got-this attitude that reassures all of us on days when we’re not sure we have it. We never had the chance to meet, but ever since I was a young girl, when watching the news, I only saw older white guys on TV behind that anchor desk. NPRs Kat Chow. Photo courtesy of NPR. 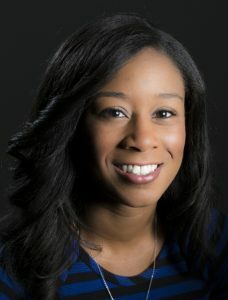 The first time I even knew you existed, I was a teenager in high school, and I didn’t really know much about journalism besides the fact that, all of a sudden, I saw a woman of color behind the anchor desk. When you’re young, you don’t really think about how important it is to see people who are a woman or a woman of color in those positions. I didn’t know that was something that I could even expect. But it made it seem like it was possible to even just enter this field. 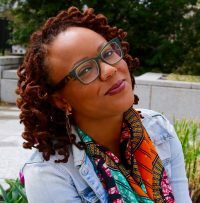 You really cared about diversity in journalism, and you talked specifically about what it meant for you to be a black woman in journalism trying to make it. To me that was really powerful, because it showed that you care about these things really deeply. For me, it legitimized the fact that you really are a worthy role model. You were someone to really look up to. Now the world of journalism has one less role model there for us. Now, if not more than ever, we’re at a place where we need journalists like us. But we’re going to have to work much harder at filling your shoes and the holes that you’ve left, because the journalism that you did was that powerful. It wasn’t just the fact that you existed, and what your life represented. You were a phenomenal journalist, too. Thank you for that, Gwen. Thank you for reminding me that as a young, black, female journalist I am part of a continuum. You from your perch always looked back, saw my work and let me know that you were proud of what I was doing. When I was in South Africa writing about First Lady Michelle Obama’s trip, you tweeted at me that my post reminded you of your days covering Hillary Clinton through Africa when she was the First Lady. Just the fact that you, as successful as you were and as prominent, read my work and took the time to encourage me, it meant everything. When I came to Washington, I immediately knew that you were a force in journalism here. There still weren’t many journalists of color, especially in the political space. Just your presence let me know that I could do it. It let me know that there was a lane that had already been carved and it brought me a level of freedom to know that there was no ceiling, that I could continue to press and push even higher. The legacy that you have left young women and journalists of color is huge. We know that, because of you, we have a seat at the table and deserve a seat at the table. We know that because of you there’s nothing that we cannot do. We can do that all while not forgetting the joy of just the work that we’re doing, taking pleasure in it, remembering who we are and how we got here through it all. You inspire me like no one else. I look to you as an example and literally looked to you when I was a Baltimore Sun reporter many years ago. I had a little picture of you that I taped to my computer. I’d gotten it off the internet because I so admired the path that you took: the Baltimore Sun, the Washington Post, the New York Times, NBC and all of your wonderful work at The PBS News Hour and with Washington Week as well. I loved the way you asked questions. You asked tough questions in such a causal, warm way. It was almost like you were throwing a curve ball at someone but they would in some ways be thankful after that curve ball hit them in the face. You asked tough questions in such a causal, warm way. It was almost like you were throwing a curve ball at someone, but they would in some ways be thankful after that curve ball hit them in the face. All of the young journalists of color, women particularly, all look to you as an example of what we could do. I remember coming to be on your show and seeing you there as the boss, having a staff and being the authority. It was so inspiring to so many of us. I remember when you invited me to be on Washington Week. What a huge moment that was for me. I just knew I had made it when I was on Washington Week with Gwen Ifill, because you knew the folks on Gwen Ifill, that you respected them. To have your respect in that moment on those shows was everything. We will miss you. We will miss your voice. But we’re going to mentor the folks who are coming up behind us the way you did, because you always treated people like they belonged at the table. We’re going to pass on everything that you taught us. I remember how I felt each and every time that I saw you on television: proud, amazed, in awe. But mostly I felt seen. 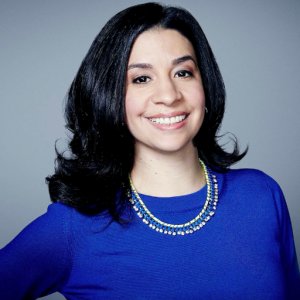 CNN journalist Tanzina Vega. Photo courtesy of CNN. In a media landscape that’s not very diverse, there you were producing some of the best journalism around. You were a beacon for so many of us, women of color especially, who wanted so badly to see themselves reflected in the media. So often women of color are left out of the narrative or our realities are explained by others who have not walked in our shoes. Women like you have helped pave the way for so many of us in the some of the toughest news organizations in the world. It hasn’t been easy for many of us, and I know it wasn’t easy for you. We owe you our gratitude and we need to channel your excellence now more than ever. You were the first person I had ever seen at an anchor desk who looked like me. As someone who knew since she was five years-old that she wanted to be a journalist, that meant so much to me. For the first time, it seemed like it was possible. It seemed real. 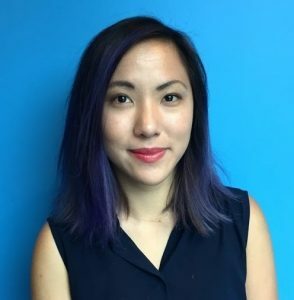 I have followed your career throughout my own, and it was such an honor to then go from admiring you from afar to working with you here at The PBS NewsHour. It mattered to me how dedicated you were to underrepresented communities. As someone who has a passion for reporting on the Caribbean, and you being the daughter of Panamanian and Barbadian immigrants, you encouraged me to go for it. You encouraged me to find the stories that no one else was reporting on, or angles that weren’t covered. You listened, and that meant so much to me. Although we didn’t get to work together long, I cherish every moment that we had. I’m very grateful from the moment I first saw you, years ago on Meet the Press and on anchor desks since then, that you have had such a big impact on my career and my growth as a woman of color who aspired to be a journalist. And I promise to uphold your legacy by being a hand or a model for some other woman who one day may see me, or may see a woman who looks like me or like you, and know that she can too. When I was growing up, I knew I wanted to be a journalist, and I remember doing book reports on pioneer journalists like Nellie Bly and sitting in my grandmother’s living room watching Tom Brokaw deliver the nightly news. What I also remember is not seeing very many faces that look like mine. But there you were, a beacon of hope in a sea of white faces. The PBS NewsHour’s Pamela Kirkland. Photo by A.J. Chavar. You gave me hope that this was a career that I could pursue, and that perhaps the differences and the colors that I didn’t see on TV could end up being a strength. Somehow I ended up getting the chance to work with you every day. I can remember when I interviewed for this job at the NewsHour, and they asked me why I wanted to work here. For me the answer was simple: it was you. I’ve admired you and Judy Woodruff for showing me that two female co-anchors could be a norm instead of the exception. And I also admire that when people describe you, they describe you as a prominent political journalist rather than as a prominent, black political journalist. I remember my very first day at the NewsHour. I wanted you to like me so much it hurt. You were never cold, but I could tell that you were studying me. You wanted to see what kind of ideas I had and then push me to go further and deeper in my research. You taught me to keep digging, that even when I thought I had found the answer or concluded the story that there were always more questions that could be asked. There was always another layer to go beyond. America lost one of its all-time great journalists, and I lost a mentor, a friend and a phenomenal anchor. There will never be another Gwen Ifill. There will never be another you. But I will forever strive to cover stories in a way that will make you proud. The impact that you’ve had on me is infinite. I remember when we were preparing for the Democratic debate that you moderated. We were going over questions to ask, grappling with how to ask questions about race. We wanted the golden questions, a question where the candidate couldn’t go back to their talking points. They had to give a real answer. Thank you for the legacy that you left us black women and us women of color and women all over the world of how we can be fair, but hard. How we can be compassionate but thorough and how we can be our best selves in this field of journalism. In that moment I felt validated. You saw me. You saw me for who I was, and you were proud of me. You were proud that I spoke up, that I voiced my opinion, that I knew that this was the question that we had to ask. You as a woman who I have admired for the better part of my life, as a woman who showed me what journalism really could be, in that moment all of my dreams came true, because you saw me, and you were proud of me, and that’s all that I could ask for. So thank you for that memory, because I’ll remember that for the rest of my life. And thank you for the legacy that you left us black women and us women of color and women all over the world of how we can be fair, but hard. How we can be compassionate but thorough and how we can be our best selves in this field of journalism.